Your next great food experience. Experience your next great meal with this bite-sized gift card. Breakfast with friends, lunch with a view, dinner under the stars? The choice is yours! 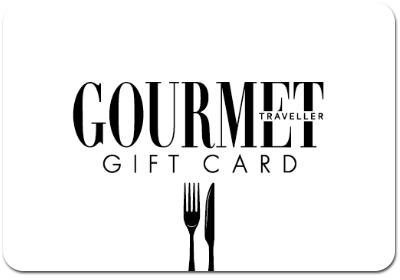 You can redeem your gift card for food and drinks at any of the hundreds of participating restaurants listed at gourmettravellergiftcard.com.au/participatingrestaurants.